I just have to say that your sewing is absolutely fantastic!! I love your designs! Being stunning on top of that isn't given to everyone either! :oD Can't wait for your next posts!! This has to be the greatest costume I have seen this year. It´s perfect and your hair looks amazing! Your little man is too cute!!! COOLEST. COSTUME. EVER. You look GREAT! Can't believe you made the jodhpurs and jacket yourself. I mean, I can, because I've seen your other pieces, but WOW. Good job! Amazing, amazing costume!! I really adore those jodhpurs, and your hair looks especially perfect! Oh my goodness you look A-MAZ-ING! I adore those pants, and well, the entire outfit. I probably would have thought you were going as Amelia, though. That is awesome! I went as Amelia Earhart a few years ago, but yours is much better! I'm new to your blog and I already love it! I'm a historical reenactor, and it's always good to meet other historically-inclined folks. You are just awesome!!! I'm new to your blog, but one day I'm going to sit down and go through your archives. I just hope you don't paralyse me with your perfection. You're a hard act to follow lady! But please continue to be my inspiration. PURE perfection!! I did an aviatrix look last year, but your ensemble leaves mine in the dust. WOWOWOW! 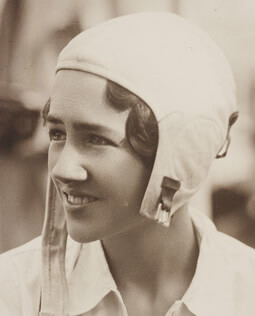 Anne Morrow Lindbergh...I read her diaries growing up. I wanted to be her. Living that life, married to her handsome man...I was sorry to read later that she suffered from depression...and well, her husband, he didn't help the situation with his own foibles. But great costume! I did see who I thought was Amelia Earhart at the bar Halloween. Thanks, everyone! Sean, since I didn't get a chance to make my little one's Charles Lindbergh costume, I pretty much could have been any '30s aviatrix. Amelia is definitely the most well-known, so I happily answered to that name! I was just glad when I didn't hear, "What are you supposed to be?" 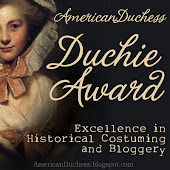 Kelsey, I'd love to see a picture of your costume, and your blog is terrific! Baroness: I remember! I loved your aviatrix costume last year; I was (and still am!) jealous of your vintage breeches! But your costume this year definitely takes the cake! I absolutely adore your costume! And that hair... I wish I would learn to do my hair like that. Very stylish! 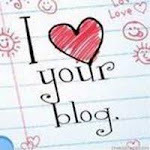 You have the most lovely blog! I too am very into the 1920's and 1930's. I wanted to offer your readers a 20% off BlackFriday coupon code "SHOPFRIDAY" to use on Friday at my etsy shop http://www.etsy.com/shop/GarbOhVintage. I would very much appreciate the mention. It would help my small and growing business out a great deal.